This is a real Easter egg house. 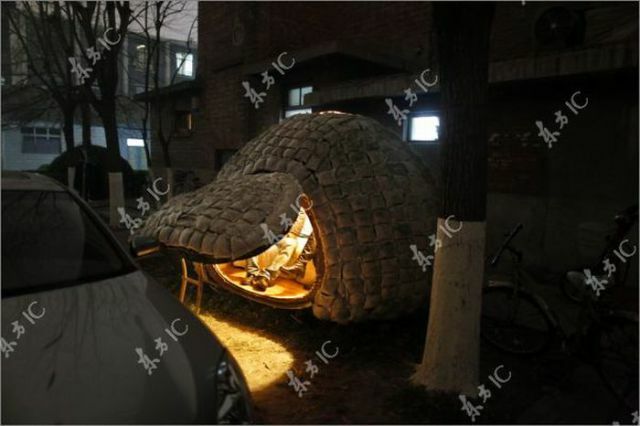 It was built by a Chinese designer named Daihai Fei, who has lived the house for two months. 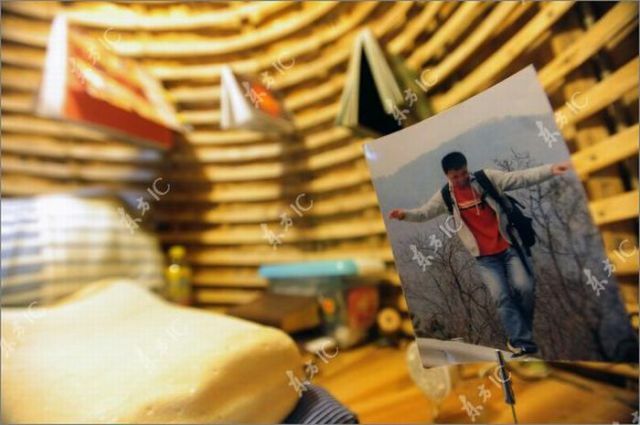 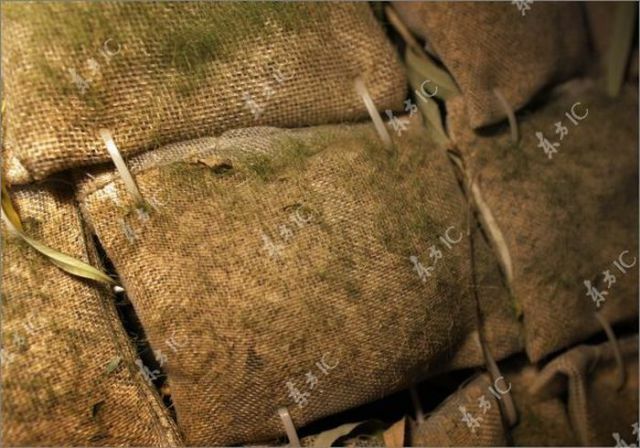 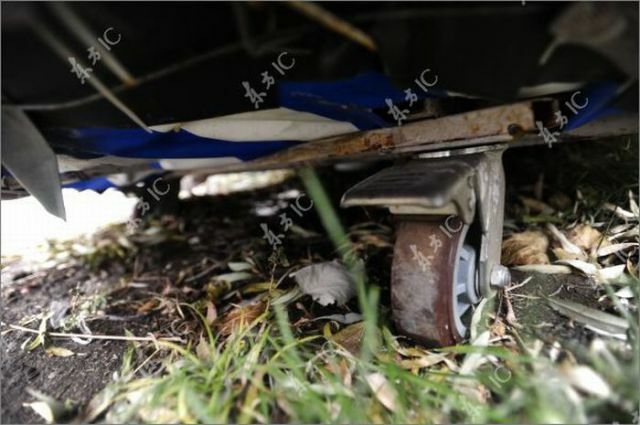 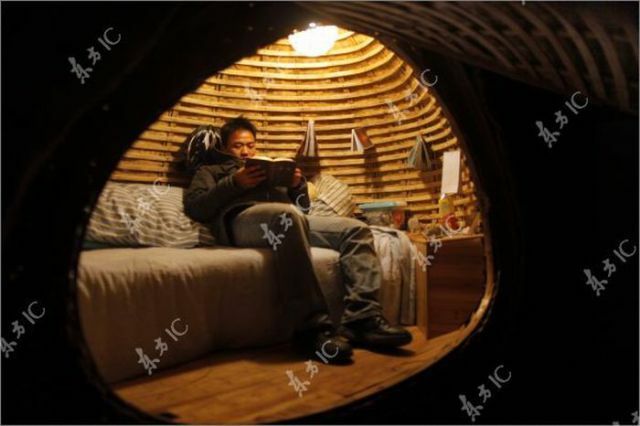 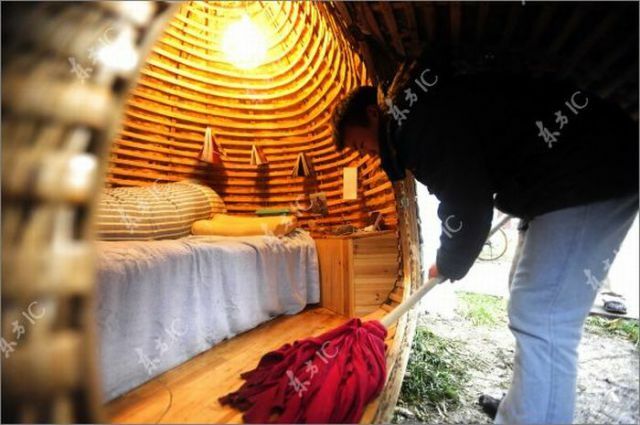 He lived in the mobile home in Beijing, China because he only had a budget of $960/month which wouldn’t allow him to rent a conventional apartment. 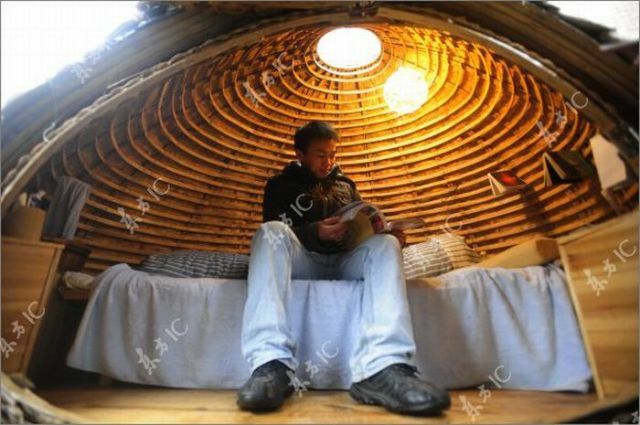 The mobile home has a small bookshelf, a lamp that is powered by a small solar panel, a small sink, and a bed. 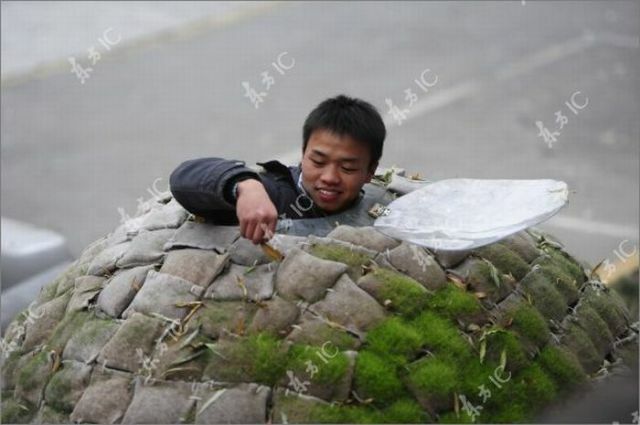 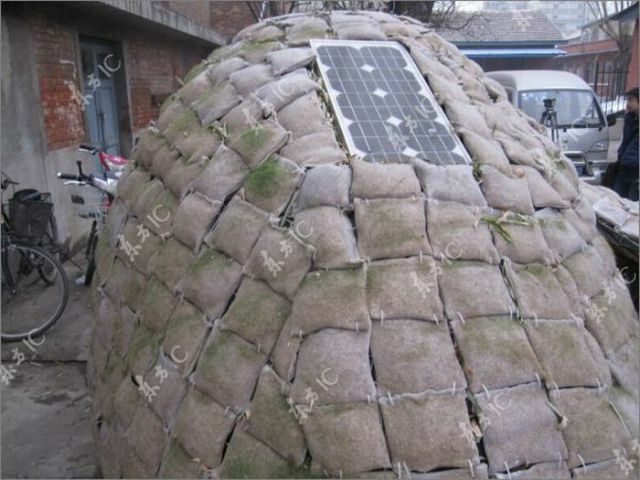 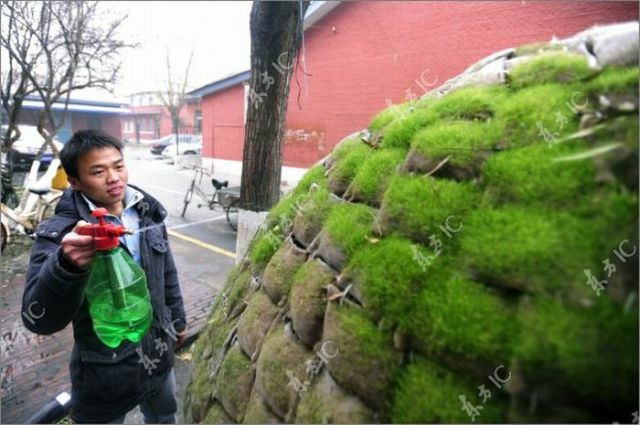 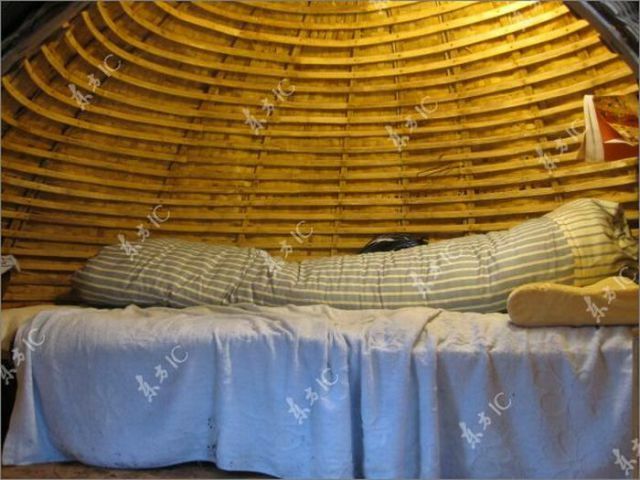 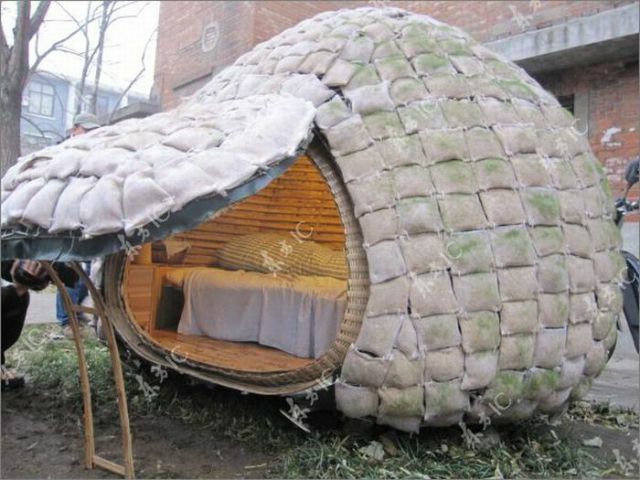 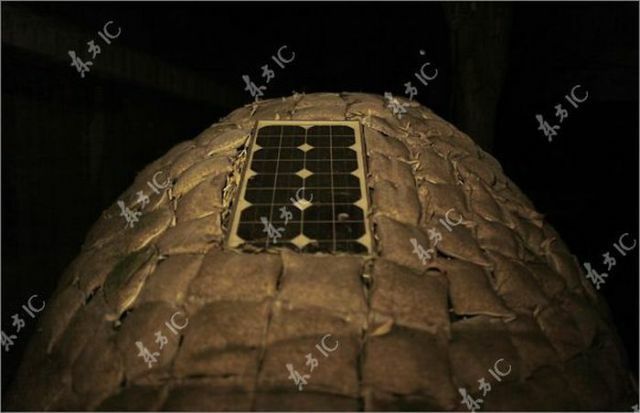 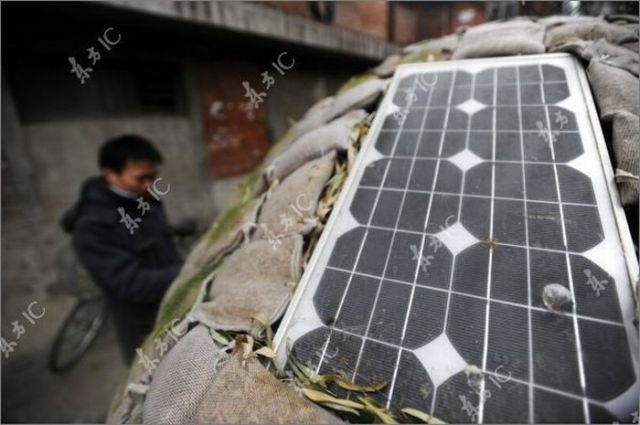 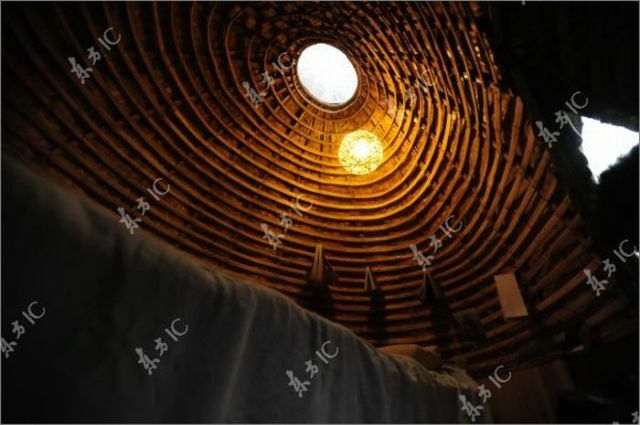 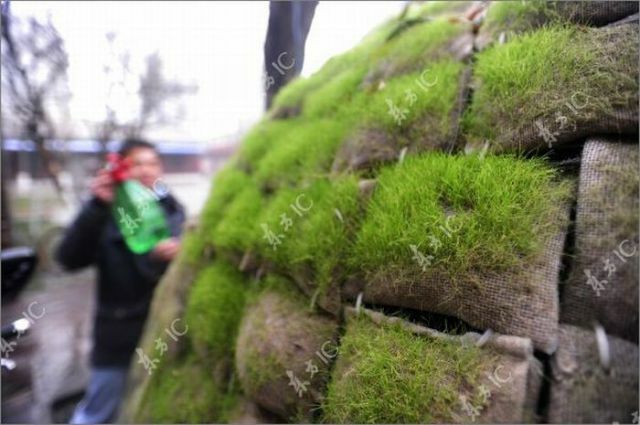 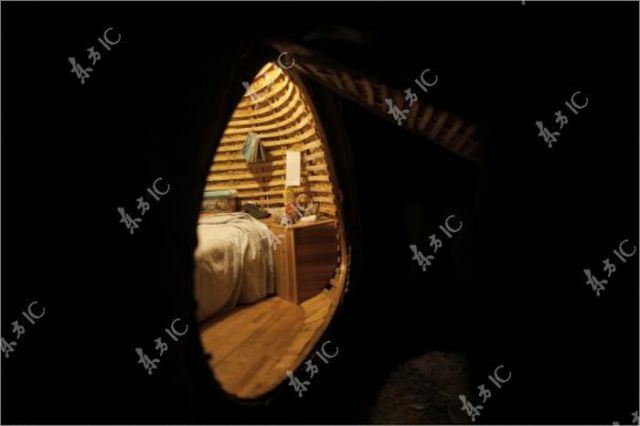 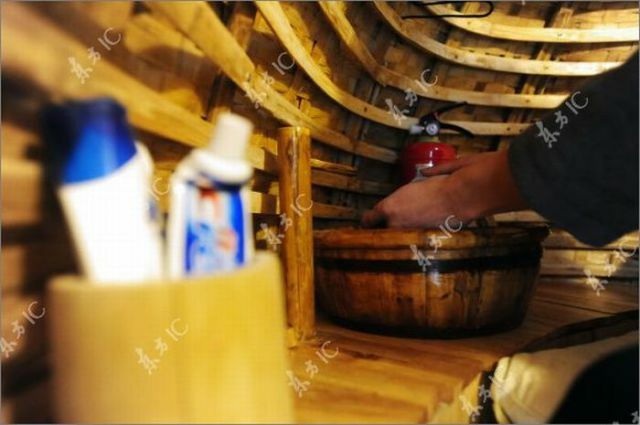 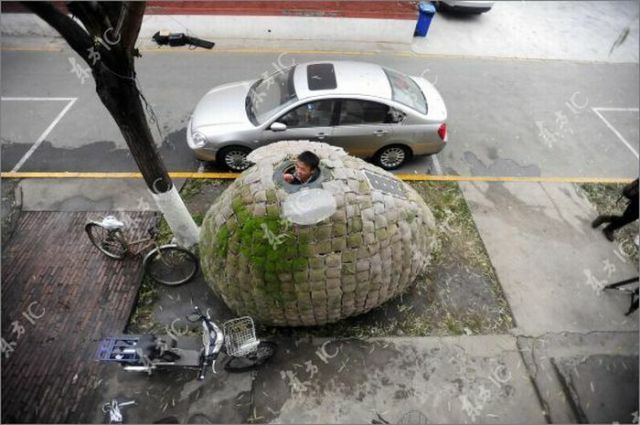 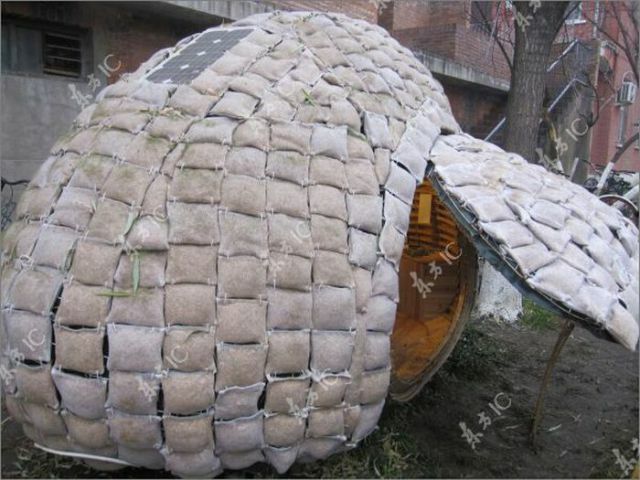 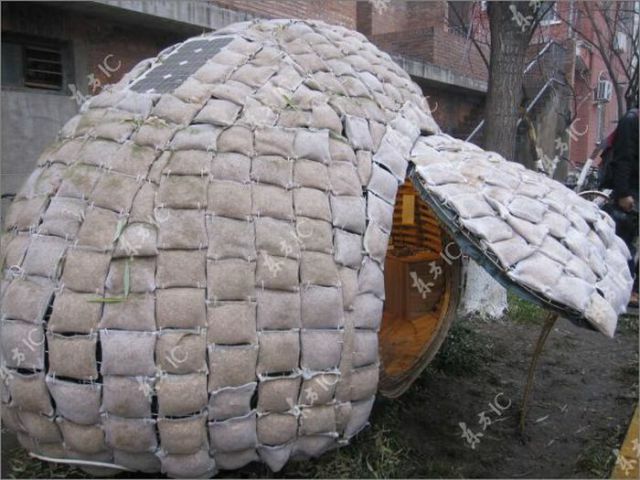 The egg house is made on a bamboo frame that is covered with insulating material. 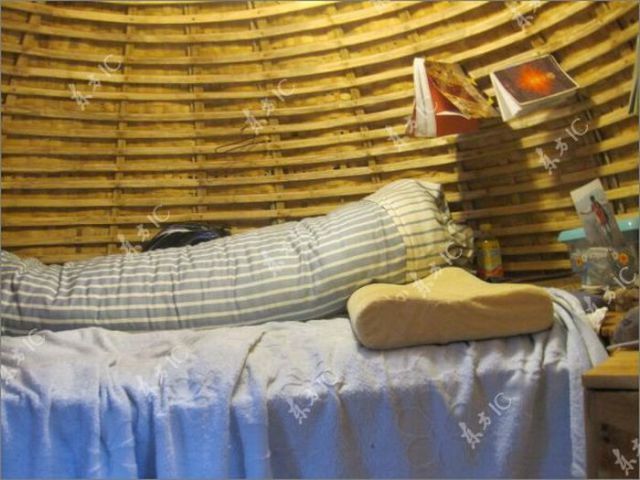 We call them bums here.